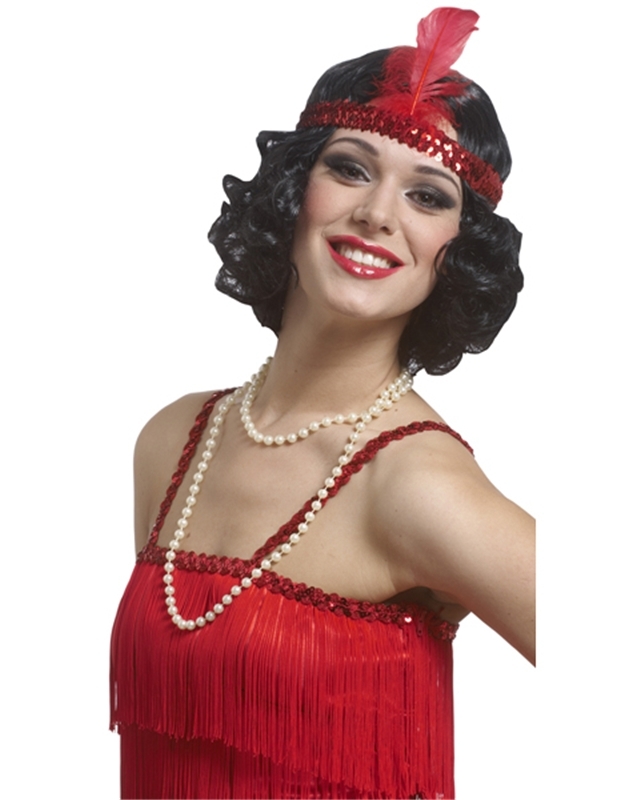 Get ready to dance the night away while drinking moonshine at the speakeasy with the Curly Flapper Wig with Headband. This wig is black in color and styled with short bouncy curls measuring 12" from scalp to end. The attached red headband is made of elastic and adorned with sequins all over and even comes with a single red feather that sticks straight up. Diameter Max. 12", Length: 12"